NEOPIA CENTRAL - War clouds are gathering above Neopia and tension is hanging thick in the air. 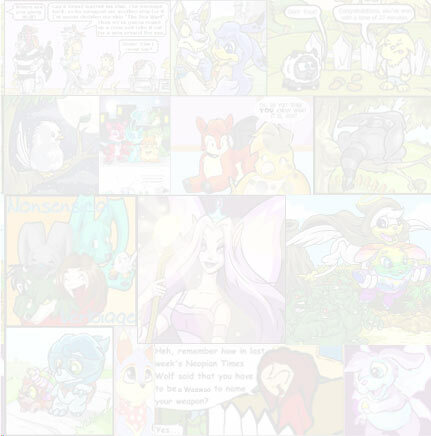 According to statements made by the NeoPet Staff on the news page, a war will soon come to Neopia. But instead of just waiting for it, take the smart step and prepare for the war. To some extent, the equipment of a pet is much more important than the stats of a pet. Even a pet that has never received training but equipped with Battle Slices can cause real havoc. Therefore, the first thing to do is to purchase good/better Battledome equipment. For those new in the art of battling, Snowglobe Staff, Moon Staff, the Snows, Improved Lightning Beam and the Bronze Scorchstone are good choices. The more experienced should shop around for some new and better equipment to aid their pets too. Even for those with little NP to spend, a good set of Battledome Equipment is still within their reaches. Some of the specie-specific weapons are simply awesome but at the same time, amazingly cheap. For example, if a pet's appearance is not of great importance to its owner, then morph the pet into a Kau or a Jubjub. The Kau Battle Horns and the Jubjub Helmet of doom have about the same effectiveness in battle as the Wand of the Air Faerie, but are at a minuscule fraction of the Wand of the Air Faerie's price. Dreaming of taking on the tough enemies in the later waves or even beating the "boss" of the invaders? Then the ability Drain Life is a must. Drain Life, a level 21 Dark Faerie ability, can drain 1/11 of the opponent's hp. Not only that, but it is reusable too. Even though it can only drain 100 hp at a time, Drain Life makes squashing those impossibly tough enemies somewhat less impossible. Exploding Snowballs and gold Battlecards are great for war situations. They do high damage and thus give even the weakest pet with the poorest owner a chance to join in the action. Another item worthy of mention is the Pumpkin Shield, a one-use item that blocks nearly all attacks. Prices on Snowballs and other one-use items had skyrocketed in each of the past two wars, so it is a wise idea to stock up on them prior to the war. One or two weeks of training with codestones and dubloons don't allow for high stat increases. But speedier alternatives like Kitchen Quests, various stat increasing Neggs and Terror Cove Scratchcards do exist and can be used at a higher price. Since time for training is limited, focus on what is arguably the easiest stat to improve in a short time - hit points. Most Neopians tend to lose their first battle. (Those who won their first battle have the right to self-administered pats on the back.) Thus, it's not a good idea to march into a war battle with no idea of how a Battledome fight works and no experience in battling. New Battledomers should have a few practice matches in the 1-player challengers and those who haven't battled for a long time should too, just to refresh their memories. Battledomers interested in beating the tough enemies with super high stats in the later waves should practice beating the likes of Balthazar, the Snowager and Chiazilla. As hard as it is to believe, the strongest pets with the strongest weapons don't always win in the Battledome. That is because the Battledome is a strategy game. Hence, develop or plan out some Battledome strategies. For example, learning to freezing your opponent right before you heal, healing at the proper time to maximise your battle scores, knowing when to freeze so your opponent don't heal etc. Learn as much about the various Battledome weapons as possible and read the Battlepedia. Wars in "real life" are dreaded things for Pacifists and believers of non-violence. 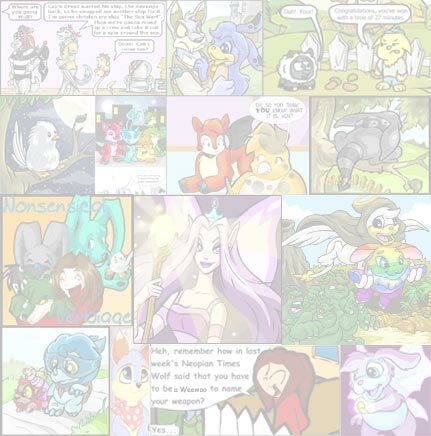 But Neopian wars are arguably a different story. For those who don't object to war-profiteering, stock up on codestones, Battledome equipment, dubloons, snowballs, battlecards and other worthy items while they are cheap. Then sell the hoard of goods when prices are high for a nice, tidy profit. Happy shopping! For the more altruistic individual who want to help out with the war but not fight, purchase a large stock of healing potions and hand them out to hurt pets during the war. Not only are you helping the war effort, but this may also be a chance to make some new friends. Be a Florence Pterigale! And most of all, this is an opportunity for Pacifists and believers of non-violence to live up to their ideals, practice resisting social pressures and temptation, strengthen their beliefs and learn more about themselves, all in the safety of a virtual war. During the Sakhmet Battle, the first wave challengers were all defeated in approximately two hours. If a Neopian happened to be watching TV during those two hours, they lost their chance to fight the Grundo Troopers forever. And while this is not possible with some Neopians' schedules, an effort to check the news page very so often should be made. Remember this saying "Check the news often so you don't miss the action!" The war is drawing ever closer with each ticking second. So why the wait? Go and prepare for the war now! Illusen had heard word of a new land, one that held everything she craved.